Is Selling Your House Fast for Cash Right for You? Selling a house in New Orleans with the help of a traditional realtor takes 65 days on average, but Big Easy Buyers can get the job done in a fourth of that time. Because selling a home seems extremely complicated, many people believe that the only way to proceed is with the help of a realtor. But there are many ways to sell a home, with or without a real estate agent. If you’re looking to sell quickly, whether to avoid foreclosure or unload unwanted inherited property, Big Easy Buyers is ready to help. Realtors are in the business of selling homes, but if you choose to work with a traditional realtor, make sure you pick a knowledgeable one. Working with someone who doesn’t have a lot of experience and may not appreciate your motivation to sell your New Orleans home fast can seriously slow down the home-selling process. In most cases, selling a home with the help of a traditional realtor takes an average of 65 days. While every circumstance is different, many who sell their homes to Big Easy Buyers close within 14 days, and almost all close within 30 days. Our primary goal is to close the sale and deliver your cash payment to you as soon as possible. In order to find a buyer for your home, a realtor will have to show it to potential buyers so that they can walk through it. You should expect your realtor to show your home multiple times to many different individuals, sometimes on extremely short notice. With Big Easy Buyers, we’ll set up a meeting with you at your home, often on the same day, or at the most convenient time for you. At the initial meeting, we’ll walk through your home and make you a cash offer on the spot, no matter what. Realtors are in business to make money, and they don’t work cheap — most charge commissions of 5 percent to 6 percent of the sale price of a home. With Big Easy Buyers, there are no financing contingencies or closing costs involved: just a cash offer to you on the spot. If we come to an agreement to buy your house, you’ll receive the full payment for your property in cash at closing. With a traditional realtor, you run the risk of accepting an offer from a potential buyer only to see the deal fail at the last minute because they were unable to qualify for a loan. Big Easy Buyers will make a cash offer on the spot for your home, and if you choose to accept it, you’ll typically receive payment in as little as two to four weeks. If you decide not to accept our offer, no problem. We’ll be happy to recommend a local realtor to help you sell your home the traditional way. When you list with a realtor, you’ll likely be expected to pay for expensive repairs and renovations to make your home more attractive to prospective buyers. If you don’t, your home may take longer to sell or might sell for less than you’d like. 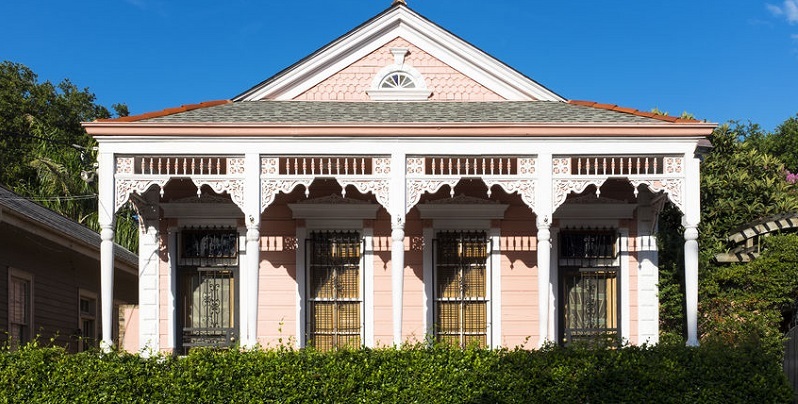 Big Easy Buyers buys houses “as is,” meaning no repairs, renovations, or cleanup necessary. You don’t even have to clean out your house before selling it to us. Just take what you want and leave what you don’t. Homeowners who need to sell their property quickly often can’t afford to wait to sell through traditional means by listing their house with a realtor. If you’re looking to sell your home quickly, Big Easy Buyers offers fast and easy solutions. Contact Big Easy Buyers at (504) 513-7878 or by filling out a quick form to learn about our 4-step process and how it can help you move forward today.